Place a medium saucepan with the water, sugar, raisins, cinnamon and cloves over medium heat. Bring to a simmer and let it cook until it achieves the consistency of a light syrup and the flavors from the spices have infused the liquid, about 35 minutes. Turn off the heat. If you like a hint of alcohol in your dessert, add the sherry. Remove the cinnamon stick and cloves. Cover to keep warm. Meanwhile, beat the egg whites in the bowl of an electric mixer or with a hand mixer over medium-high speed until they hold stiff peaks. Reduce the speed to low, add the yolks one by one and continue beating just until incorporated, so the volume will not decrease much. In a large bowl, combine the milk, sweetened condensed milk and vanilla, stir until incorporated. Set the bowl with the milk mixture beside the bowl with the beaten egg whites and yolks. Fill a large sauté pan with about 1/4-inch of oil and heat over medium heat until hot, but not smoking, and you see ripples in the oil when you tilt the pan. One at a time, dunk each piece of bread in the milk mixture until soaked, immediately dip into the egg mixture to completely cover, and place the coated slice in the hot oil. Fry for about a minute on one side, until golden brown, flip to the other side and do the same. Add as many bread pieces as will fit into the pan without over-crowding. When finished frying, place the bread pieces on a baking dish covered with paper towels to drain. Traditionally, the “poor gentleman” pieces are placed on a platter, covered with the syrup and refrigerated. But I think they are a thousand times tastier served hot! Cover the pieces with warm syrup, sprinkle chopped almonds on top and serve. If you have leftovers, cover the battered and fried bread pieces with the remaining syrup and almonds, and store covered in the refrigerator. I admit they are also fabulous cold. Made this French toast for my Easter brunch. Pati it was a huge hit . Thank you so much!!!! Your the best! I’m so glad you had a great brunch, RoseAnn! I hope I don’t work this weekend, because these look absolutely perfect. I can’t wait to make them for my girlfriend! Hope you guys love the french toast! This is THE french toast recipe I will use from now on. I love recipes from this part of the world. This turned out beautifully…and delicious! I used an additional 1/2 Tbsp of vanilla because, well, I love vanilla. I used golden raisins plumped in boiling orange juice. I also added 1/4 cup heavy cream to the milk mixture. Thank you so much for this recipe. ? MMMMMMM!!!!!! Great additions! Thank you for trying it! 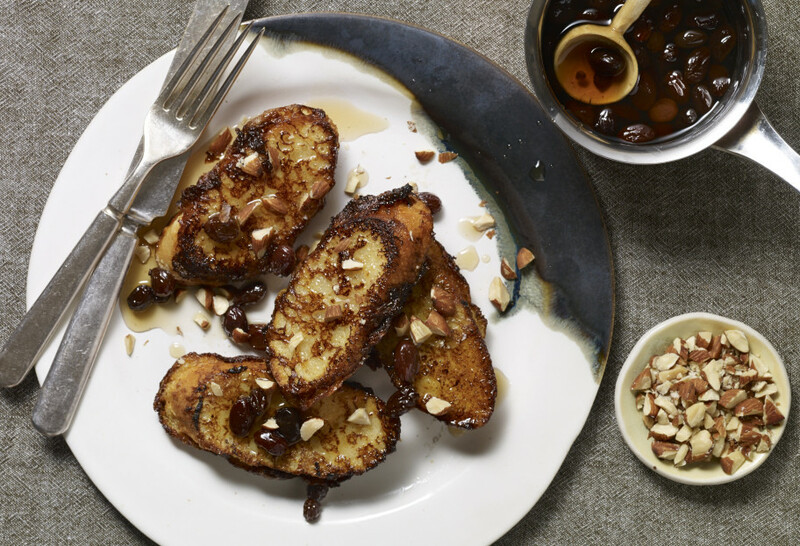 French toast is not hard to make and is a delightful plate. However, it is not simple to know exactly,Many people are looking for information about how to make French toast. There are many different French toast bread recipes available. I have noticed every Country has a signature Recipe that is very much as another Country.Corn is a staple in the South & so is Rice.This Recipe is delicious & Miss.Pati has created a great reditioin of whomever lays claim first. It’s interesting that this is called ‘Caballeros Pobres’. In England, an alternated name for French Toast is ‘Poor Knights of Windsor’. According to the website “The Foods of England’, French toast is called ‘poor knights’ “throughout northern Europe, from Germany (Armer Ritter) to Finland (köyhät ritarit)”. The earliest known recipe for ‘poor knights’ is apparently from 1658, although there are similar recipes from the 15th century.